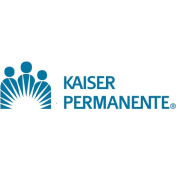 Volunteering is at the heart of thriving and caring communities, and this program will allow local community members to volunteer their time with Kaiser Permanente of the Mid-Atlantic States. Fredericksburg Medical Center is currently looking for compassionate and dedicated individuals (ages 16 and above) who are interested in opportunities to serve their community, earn service hours, or simply acquire valuable operational knowledge of the healthcare industry. If you or someone you know would like to volunteer, or if you’d like more information, please email mas-kp-volunteer@kp.org, text KPVOLUNTEER to 21000, or visit www.kp.org/volunteer/mas.